Last Sunday’s Observer had a free food supplement (although nothing is really free) giving us what they thought are the 20 Best British Recipes. It was cobbled together from the writings of various well regarded food writers in staunch favourites such as Simon Hopkinson, Jane Grigson, Elizabeth David and Fergus Henderson. 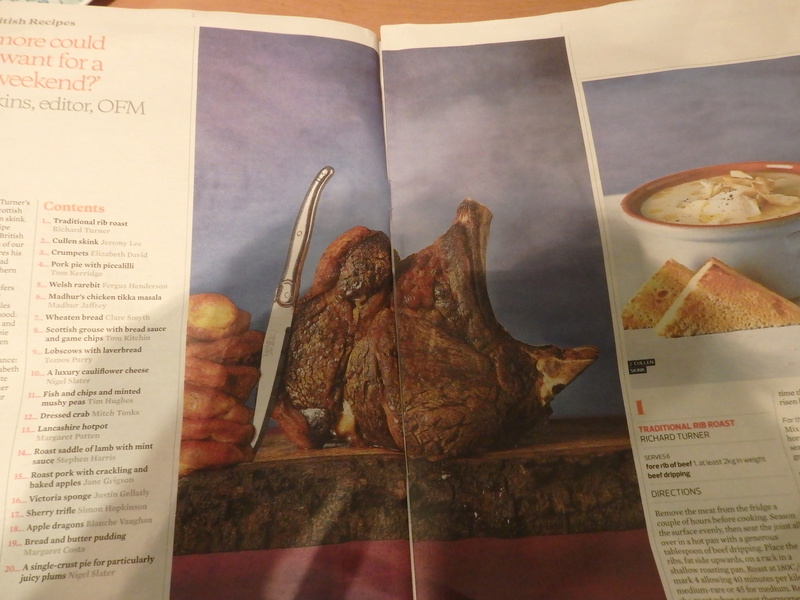 But what caught my eye was a picture of a full traditional rib of beef standing proud with a pile of Yorkshire puddings to the side. I made a mental note that I should be picking a small one next time I was down at The Farmer’s Market. It turned out I needn’t have bothered with the mental note. We were out for a late lunch on the Sunday celebrating a 25th Wedding Anniversary. 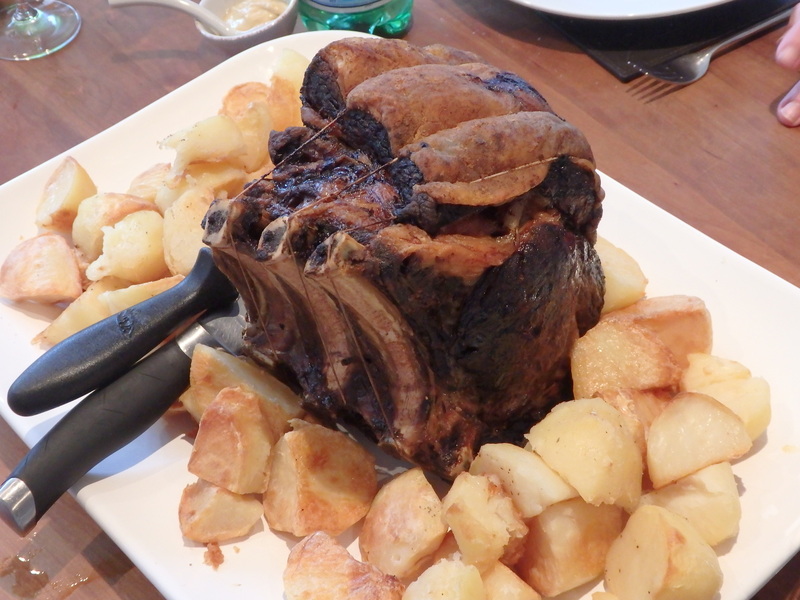 As we walked into the house our noses took in the smell of a finely cooked roast. An hour later we were at it around the table and I was given a sharp knife to have a go at the carving. I suspect there wasn’t a great deal of finesse about it but that didn’t effect the taste and it looked better than the picture from the paper. Almost as good was Bakewell Tart that finished off the meal. An excellant way to ease into autumn.